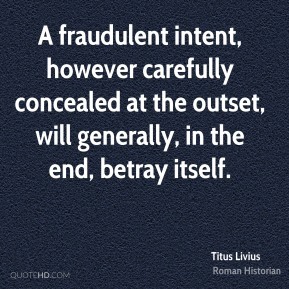 A fraudulent intent, however carefully concealed at the outset, will generally, in the end, betray itself. 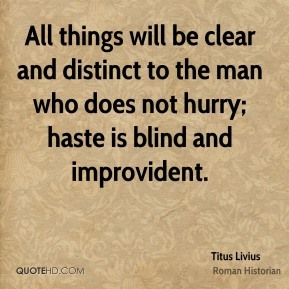 All things will be clear and distinct to the man who does not hurry; haste is blind and improvident. 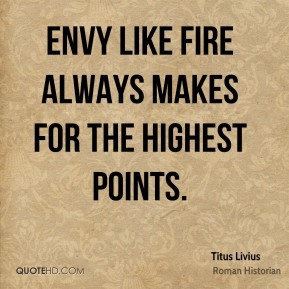 Envy like fire always makes for the highest points. 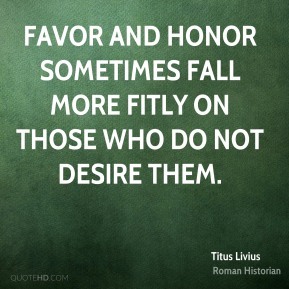 Favor and honor sometimes fall more fitly on those who do not desire them. 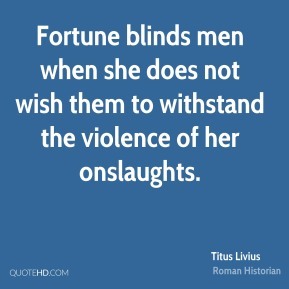 Fortune blinds men when she does not wish them to withstand the violence of her onslaughts. 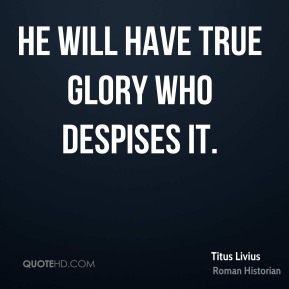 He will have true glory who despises it. 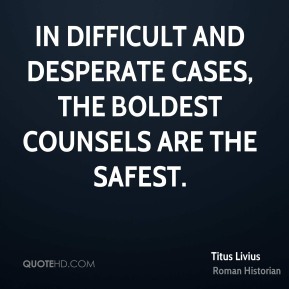 In difficult and desperate cases, the boldest counsels are the safest. 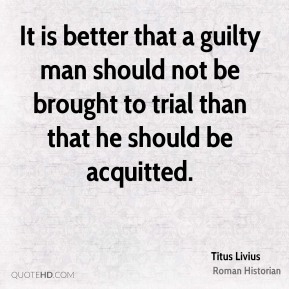 It is better that a guilty man should not be brought to trial than that he should be acquitted. 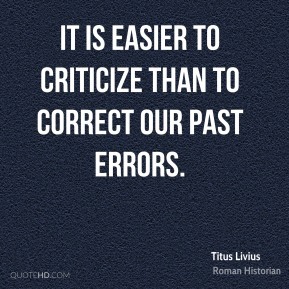 It is easier to criticize than to correct our past errors. 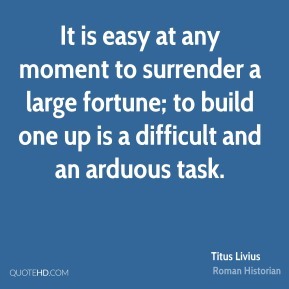 It is easy at any moment to surrender a large fortune; to build one up is a difficult and an arduous task. 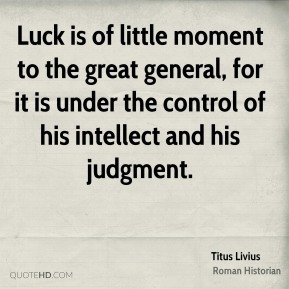 Luck is of little moment to the great general, for it is under the control of his intellect and his judgment. 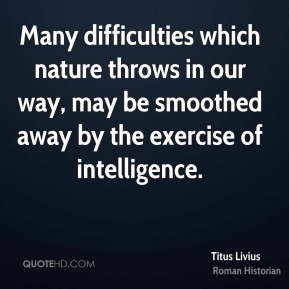 Many difficulties which nature throws in our way, may be smoothed away by the exercise of intelligence. 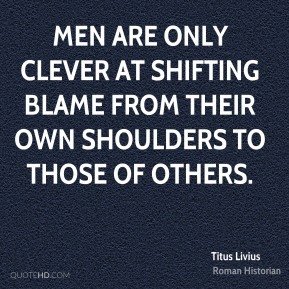 Men are only clever at shifting blame from their own shoulders to those of others. 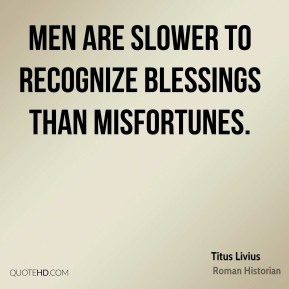 Men are slower to recognize blessings than misfortunes. 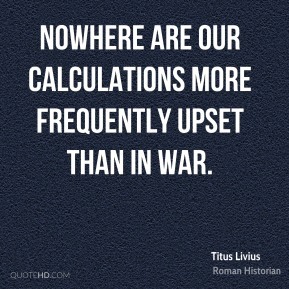 Nowhere are our calculations more frequently upset than in war. 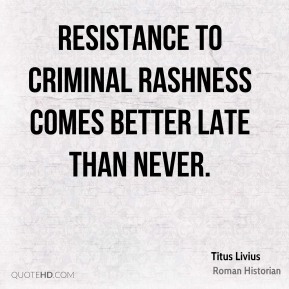 Resistance to criminal rashness comes better late than never. 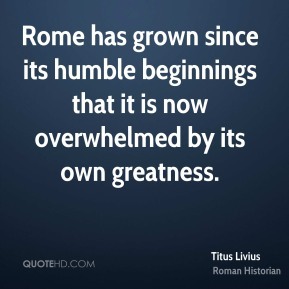 Rome has grown since its humble beginnings that it is now overwhelmed by its own greatness. 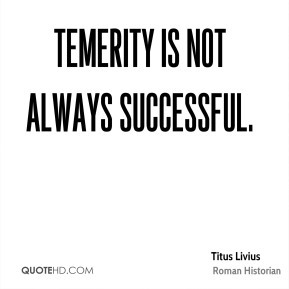 Temerity is not always successful. 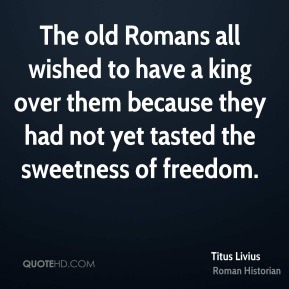 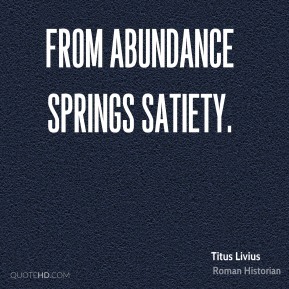 The old Romans all wished to have a king over them because they had not yet tasted the sweetness of freedom. 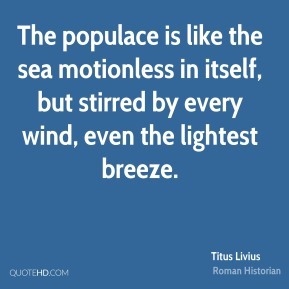 The populace is like the sea motionless in itself, but stirred by every wind, even the lightest breeze. 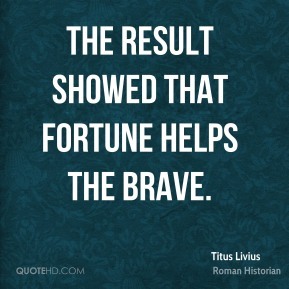 The result showed that fortune helps the brave. 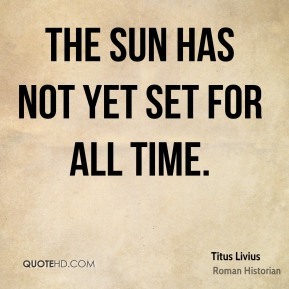 The sun has not yet set for all time. 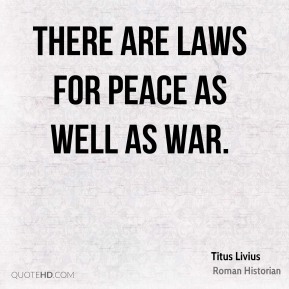 There are laws for peace as well as war. 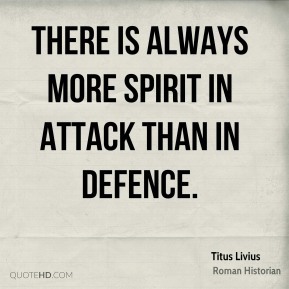 There is always more spirit in attack than in defence.